After 45 days in NASA's Human Exploration Research Analog (HERA), the four-man crew can hardly hold their eyes open. This mission was the first of its kind to last 45 days, as well as incorporate sleep reduction for research purposes. "The sleep deprivation was really difficult," said, James Titus, HERA crew member. "It really hindered our normalcy. We are used to working and living our lives at a higher level. During this mission the sleep reduction, the no-nap rule and limited caffeine - went hand in hand to really slow us down," he said. HERA is one of several ground-based analogs used by NASA's Human Research Program (HRP) to research ways to help astronauts move from lower-Earth orbit to deep space explorations. A spaceflight analog is a situation on Earth that produces physical and mental effects on the body similar to those experienced in space. Participants are volunteers that must pass a physical and psychological assessment to qualify. Despite the no siesta rule, the crew took their mission tasks seriously. As with past crews, they particularly enjoyed the extravehicular activity (EVA) on an asteroid conducted with virtual reality technology. "It was fun learning to maneuver in three dimensions, and going through the decompression protocol just like a real astronaut would. 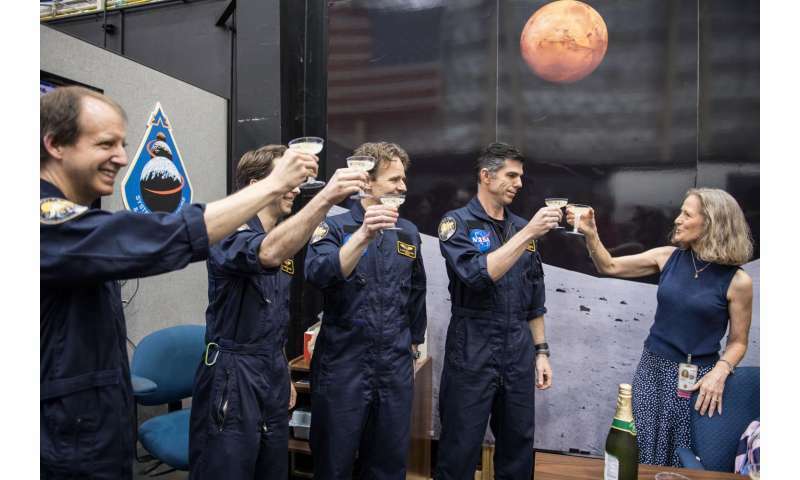 It was fascinating to me," said Timothy Evans, HERA crew member. Not only are the HERA crews isolated from the outside world, they must unplug during their mission. 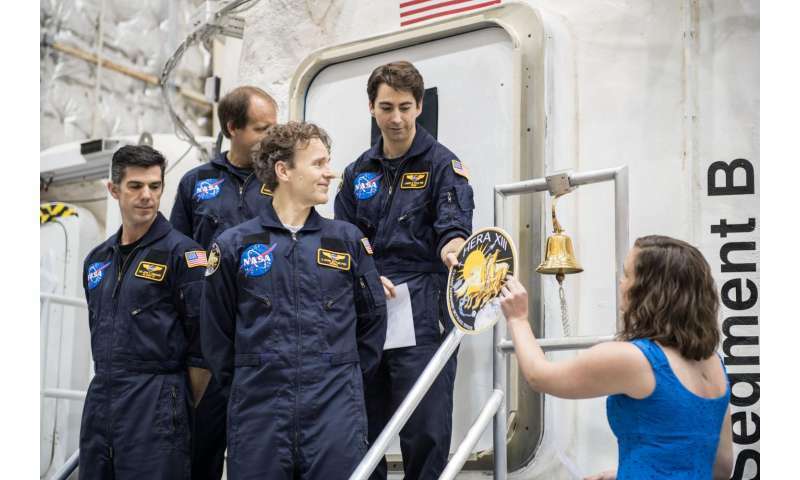 "It was really a little bit disorienting," said Mark Settles, HERA crew member. "You get in this mode of addressing electronic communications on a daily basis. It was like stepping back 20 years by having a reduced level of constant input of demands on your time from electronic communication." This was a rather competitive group. One of their tasks was to use the robotic arm to grab a transport vehicle while dealing with sleep deprivation. They had 12 chances to do so and were given a score on their efforts. "The score was very important to all of us. We'd strive to get better. The ROBoT [Robotic On-Board Trainer] and cognition had a level of inter-competiveness with us," said John Kennard, HERA crew member.